Yes...I said BACON! On this snowy cold day I have bacon on the brain so I thought I would share my thoughts about our favorite bacon made right here in LaGrangeville, NY at Mountain Products Smokehouse. 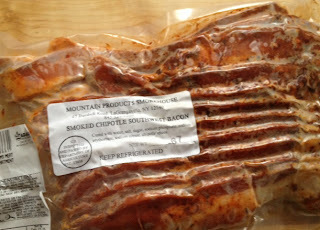 My husband and I are always on a quest to find the best bacon, but nothing has surpasses the texture and flavor of the "Chipotle" yes, I said Chipotle Smoked Bacon from Mountain Products Smokehouse. 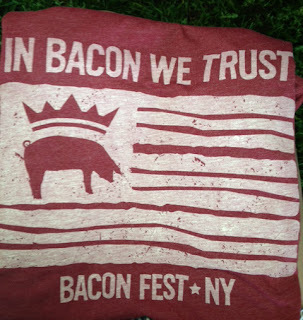 We found this bacon at the first annual NY Bacon Fest..yes...there is now a bacon festival in New York YAY. It takes place in September in Hudson, NY. 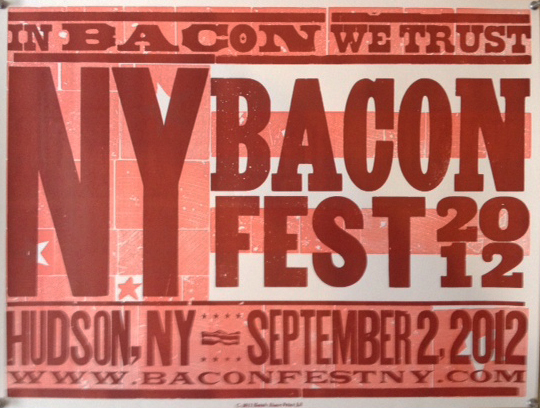 The first one was good, but I guarantee this festival will grow (I Hope), because let's face it, bacon is what makes the world go round (sorry veggies, but it's true!). Below are some pics of said bacon and festival...and a few links so you can explore (order & try) for yourself....Ooh and if you have an Adams Fairacre Farms near you....wait for it...they carry all varieties of Mountain Products Bacon. We like the Chipotle best, but runners up are Cracked Pepper and Maple Cinnamon. 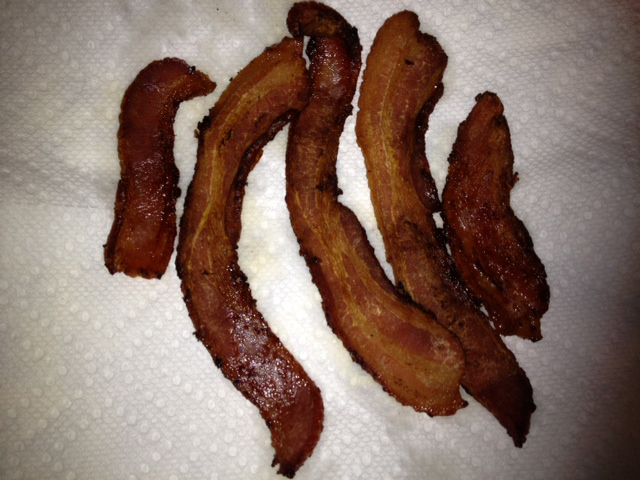 Stay warm my friends and eat your bacon! Bacon Fest Poster...Yes..I bought one! 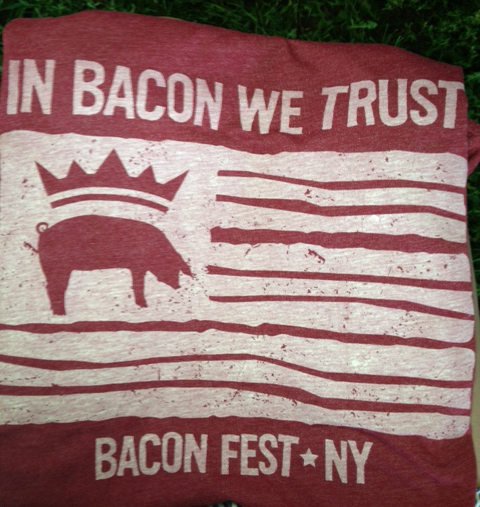 Bacon Fest T-Shirt...Bought one of these too!